The pool at the Ocean and Beach Resort, South Caicos. The Ocean and Beach Resort is located on Tucker Hill overlooking Cockburn Harbour and East Bay Beach. This hotel features a spectacular ocean view over the uninhabited cays off South Caicos. Onsite is the Dolphin Grill restaurant, swimming pool, and Jacuzzi. 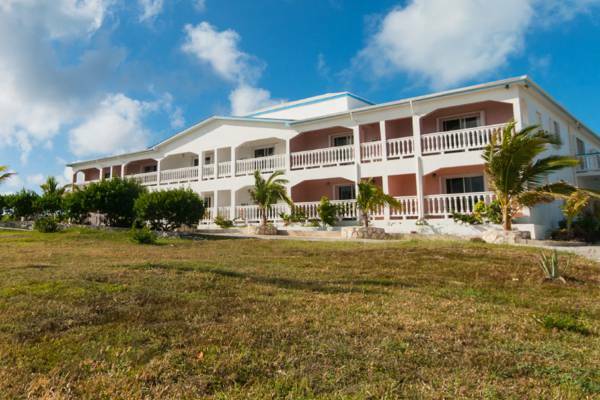 This hotel offers amazing views over South Caicos and the nearby cays.